I'm working on reworking my Semitlang from scratch. One of the things I've worked on tonight is phonology. I'm not quite sure what I want to do with the emphatic consonants. I wanted to do something with dissimilation, and had the idea to use it to mess with stress patterns too. If the emphatic begins a syllable, the glottal stop conforms to the coda of a preceding syllable. The prosodic effect is a falling pitch. Falling pitch syllables become stressed, and the pitch accent disappears with the loss of the glottal. Last edited by tiramisu on Fri Mar 16, 2018 10:26 pm, edited 9 times in total. I would expect a CʔC sequence to become CʼC pretty quickly. So basically you have TṬ > TʔT > ṬT. Which is a pretty cool shift, actually. Incidentally I'm working on a Semitic language myself, a Medieval descendant of Punic spoken in the Canary Islands. I'm wondering if the prosodic effect sounds plausible. As far as I can tell, this is shaky territory because the relationship between pitch, tone, and accent, as well as between articulation and pitch & tone, seem to be something that is still uncertain. This may be a good time to add a disclaimer that I am not aiming for accuracy in relation to the Semitc languages so much as plausibility. Note, further and unrelated to the previous disclaimer, that Sebastic is neither East or West Semitic, but is intended to be the earliest branch of Semitic. Thus, it, in fact, predates what is typically called Proto-Semitic. In other words, Proto-Semitic would need to be revised in light of Sebastic, were Sebastic a real language. Thus, for convenience, I will generally refer to its common ancestor with East + West Semitic as 'Proto-Semitic.' Feel free to ask for clarifications about whether something described as 'Proto-Semitic' is actually Proto-Semitic or con-Proto-Semitic. Comparative Semitics has a 'sibilant' problem. There appears to be a fourth, undefined sibilant that merges with s1 in some languages in some environments, and becomes /h/ or Ø in some environments, or merges entirely with s1 or /h/ or Ø. Its original realization is entirely untraceable, other than that it likely had some proximity to s1 (probably [s]). This is the sibilant found in 'C-stem' derivations. Another problem in Comparative Semitics comes with a handful of occurrences of the letter n. In these occurrences, vowels cannot be reconstructed in the syllable with n. Moreover, in these same occurrences, the n itself has some curious manifestations. For instance, it becomes /r/ in Aramaic in most of these occurrences. One of the popular interpretations (though far from consensus) is that Proto-Semitic had syllabic n.
These were originally the same phoneme, probably a voiced laminal alveolar trill fricative [r̝]. By Classical Sebastic, it seems to have merged with /dʒ/ (< *z, *ð), but with /r/ in the environment of an alveolar stop. Last edited by tiramisu on Sat Jan 14, 2017 9:35 pm, edited 3 times in total. I believe Akkadian māru is generally regarded as originating from the same root as ben / bar / ibn etc. with the change b > m, or at least that's what Lipinski claims. mārum has clear cognates in other Semitic languages, including Arabic and Aramaic. That by itself makes it unlikely, although Akkadian > Aramaic > Arabic borrowing has happened in several instances. But also, even if b > m could be explained by a nasal sonorant, the nasal sonorant becoming r isn't attested anywhere else in Akkadian. You also have no way to explain the long ā there, let alone an open vowel in the first place. The internal evidence contradicts the claim that it's from *bn, and you just can't use comparative evidence against internal evidence to draw conclusions about the development of a language. Is there a good, recent source for comparative Semitic stuff? I have to admit, quite a few things in his Comparative Semitics left me scratching my head. His positing the Semitic homeland in the western Sahara (i.e., the Afroasiatic homeland) was strange enough, and I noticed he still clings to the notion that Proto-Semitic emphatics were pharyngealized. That also wasn't the only ad hoc sound change he proposed. I'm not sure anything has been published in one place, which may be why Lipinski's book is so popular. John Huehnergard has a great overview of Proto-Semitic in The Ancient Languages of Syria-Palestine and Arabia that I would recommend. He gives a state-of-the-field bibliography at the end of useful articles as well. This was published about 12 years ago, but is still pretty up-to-date. Brevity leads to things being oversimplified or insufficiently explicated, if anything needs to be said about it. The comparative evidence itself is also not provided, so it truly is a treatise on Proto-Semitic. I expect that Huehnergard has been working on a book of his own on Comparative Semitics, and will release it sometime within the next decade now that he's entering into retirement. He at least has done significant preliminary work on one that he has been keeping held tightly over the past decade or so. Person is marked with a prefix. Plural number is marked with a suffix. Feminine gender may also be marked with a suffix. Dual verbs have already disappeared by the Classical Sebastic era. The only two dual forms (2m, 3m) would have been identical with the feminine plural forms. The prefix vowel is determined by a) the stem and b) TMA. More on this in a future post. Sebastic verbs are primarily aspectual. The two verbal forms are an imperfective and a perfective, with a perfect aspect fulfilled by the predicative use of verbal adjectives. The imperfective form represents an event whose end is unbound, and whose internal contours are dynamic or contextually relevant. The beginning of the action may be bound by context, and can thus refer to a past, present, or future action. Unmodified, it tends to refer to an action whose beginning is either in the present or near future. In other words, the agent is just beginning to undertake the action, or is about to undertake the action. The perfective form has a wide range of uses, which can be categorized together by its lack of imperfectivity. The event is usually viewed as a whole, complete event and the internal contours are not considered. Note that the perfective can be tough to translate into English clearly distinct from the imperfective or the perfect. In narrative texts, it is probably most typically translated as a present perfect or near past. The perfect represents a past event with relevance to the present moment. In narrative texts, it is probably most typically translated as pluperfect. Notes: 1. D-stems are less often transitivizing in Sebastic than in other Semitic languages. Sebastic is able to transitivize G-stem verbs by adding objects to the verb. 2. It is unclear what distinguishes D-stems clearly from G-stem imperfectives in Proto-Semitic, although the relevant Semitic languages demonstrate mechanisms to distinguish them. In Sebastic, stress in D-stems shifts to the final syllable. This likely happened through occurrences of D-stems with pronominal object suffixes, which would shift the stress to the final syllable of the stem. (Although common in Sebastic, pronominal object suffixes were not common on G-stem verbs in Proto-Semitic). This stress pattern subsequently leveled throughout the D-stem paradigm. Likewise, the stress of the G imperfective no longer shifts with pronominal suffixes. Last edited by tiramisu on Sat Dec 31, 2016 3:27 pm, edited 2 times in total. Note: I used fake roots for the following, in order to better demonstrate the paradigms comparatively. In cases of 2 emphatic consonants, the second emphatic seems to dissimilate without trace of the glottalization. This means the verb is treated as though only the first of the emphatic consonants is emphatic. Watch this post! This post combines a number of "working" features liable to change, and thus there are known uncertainties. Nouns identify a person, place, or thing. Adjectives qualify a person, place, or thing. Sometimes, adjectives can be used as substantives, standing in place of and functioning as nouns. This function is both syntactic and morphological. Because of the fluidity of adjectives, the term nominals will be used here to refer collectively to nouns, adjectives, and substantives. Because substantivized adjectives function identically to nouns, the term substantives will be used when referring to both nouns and substantives, but excluding adjectives. Nominals may be marked for gender and definiteness with suffixed morphemes. In some cases, number may also be marked with suffixes. Internal plural markings will be dealt with in a separate post. Gender distinction in Sebastic is weak. It is largely unmarked, except with certain body parts, natural pairs, and female human nouns, all of which are marked feminine. Masculine nominals are unmarked, and take only the nominal ending -a.
Feminine nominals tend to end with -ay. Moreover, any noun in the singulative, -(a)ta, is treated as feminine in Classical Sebastic, though this agreement is only clear in verbs and pronouns. Some feminine nouns are morphologically indistinguishable from masculine nouns. Definite substantives attach -(i)m after the gender suffix. Number in Sebastic consists primarily of an unmarked form, which can refer variously to a single specimen, a collective species, or an unspecified amount of specimens. A singulative form exists, which specifies a particular specimen or part. A plurative form also exists, which specifies multiple specimens or parts, but cannot refer to a species collectively. An unproductive form likewise exists in nouns marking natural pairs, which can take either unmarked or plurative agreement. The singulative is marked by -(a)ta. Adjectives describing the specimen will also take this ending. The plurative is marked with -ā. Feminine nouns ending in -ay, end in -áyya, due to historical sound changes. Some are marked by internal plurals. Some adjectives may have internal plurals when substantivized as well. Natural pairs are marked by -ay. This applies primarily to body parts and certain reproductive couples. Only the head of a noun phrase may be marked definite. Adjectives agree in gender with their head. Number of adjectives tend to agree with the head. Last edited by tiramisu on Sat Jan 20, 2018 6:06 pm, edited 1 time in total. Last edited by tiramisu on Thu Nov 17, 2016 9:47 am, edited 1 time in total. NOTE: The native demonym as given below is no longer correct. To be fixed. The Chiqqēl (sg. Echqīl, pl. Echqīlīn) are a Semitic people of unknown origin. Though they seem to have settled in the region of Canaan, they do not seem to be Canaanites themselves. Instead, it seems they conquered Dor from the sea, and established a colony there around the 12 or 11th century BC. Where they came from has been lost to history. Echqīli legend claims they were seafaring nomads. In truth, they were most likely settled elsewhere along the Mediterranean, and the settlers in Dor may have been a class of warrior-fishermen, perhaps hired as mercenaries by a naval power to give the Phoenicians trouble. Their relationship with the ancient Israelites was complicated, but they were quickly engulfed into Israelite culture. Nonetheless, they maintained a separate identity, and rebelled when oppressed. A catalyst occurred with the arrival of the Prophet Elias, a missionary sent by the Kingdom of Judea to spread its religion. Reflecting societal divisions in the region, a parallel Echqīli religion developed alongside Samaritanism — practiced in Israel — and Judaism — practiced in Judea. According to the Chiqqēl, theirs is the religion of Elias, and God's holy temple belonged on Mt. Carmel. Nonetheless, the Chiqqēl were among the first converts to Christianity, and were the first ethnic group to completely convert. According to them, the community's conversion is recounted in Acts 8 and 9. Under the Byzantines, they were primarily located within the Sees of Sebaste and Sycaminum, and became known to outsiders as Sebastians. In the 5th century, Christianity in the Middle East was shaken by controversy over the Council of Chalcedon. The official stance of the Sebastic Church in this period remains unclear, with certain contemporary sources suggesting dissent with Chalcedon. It is clear, however, that Sebaste initially opposed Byzantine imperialism, and communion with the Church of Jerusalem may have been severed for a time. Contemporary accounts suggest that the Sebastic community was far more sympathetic to the non-Chalcedonian communion by the reign of Justinian II, but no theological treatises have survived. During the Islamic Conquests, however, and particularly during the reign of Amīr Umar, there was furtive embrace of the Byzantine church by the Sebastic community. During this time, they seemed to have adopted the Byzantine rite, but remained quite active in the use of the Sebastic language. Today, virtually all Echqīlīn belong to the Eastern Orthodox Church. The overall quietist nature of the Chiqqēl, however, has led to its decline by assimilation. By the mid-20th century, only about 66,000 were left. Expulsion and emigration have prevented population growth in post-1948 Israel and Palestine. Today, estimates of 75,000 are generous, though another 175,000-190,000 can be found in the diaspora. Last edited by tiramisu on Fri Nov 04, 2016 11:36 pm, edited 1 time in total. A Psalm of Elias: The Sebastic biblical canon includes a number of poems attributed to Elias the Prophet in the psalms. The following is one such psalm, which seems to make reference to Elias' competition with the priest of Ba'al. Christian Sebastic theologians note the parallels of this psalm with the Transfiguration and the Incarnation. They note specifically the motif of YHWH's revelation of himself through light. They also draw attention to the phrase "His Angel," equating it with the Angel of the Lord and Jesus Christ. They also note the motif of an intimate connection between heaven and earth in this moment, and compare it with the Incarnation, citing Athanasius: "God became man, that man might become God." Finally, they note that "Israel is brought high through salvation" could also be read as "Israel is brought high through Jesus," as "salvation" and "Jesus" are homophonous. Let Israel hope in the Lord! Yiłāʔíl - borrowed from Heb. hára - borrowed from Heb. málʔak - borrowed from Heb. shā́par - borrowed from Heb.? yashūʔa - borrowed from Heb. Color highlighting is used to emphasize parallelism and structure. To be fleshed out! Watch this post for illustrative examples. Verbs can be topicalized by the addition of -ma. This is perhaps typical in sentences with more than one verb. In sentences with coordinated verbs, it is usually attached to the first verb in the sequence, and can be translated as a conjunction. It implies sequence -- that the marked verb has begun prior to the beginning of the second verb -- but does not always imply result. Verbs and clauses may be subordinated by adding the conjunction -u to the head of the subordinated clause, usually a verb. In cases of possible ambiguity between subordination and coordination (as -u on its own is a coordinating conjunction), the subordinating verb often takes a topicalization marker. Subordinated nominal clauses typically have a circumstantial interpretation. The imperative is formed from the stem of the perfective conjugation. If there is no word directly before it which ends in a vowel, it may take a prosthetic vowel ə-. The optative is formed by adding lə- or li- to the perfective conjugation stem. lə- exists only in pro-pretonic first or second person optatives. Optatives may be used with imperative force. Every year around New Year's, I have a tradition of conlanging and translating Auld Lang Syne into my conlangs developed throughout the outgoing year. I've been trying to get the tradition going on the zBB for a couple of years now. It gives the community a nice 'museum' of our progress over the year. So say a little about your conlang in 2016, and where you hope to take it in 2017, and give your translation. Here we have it in Classical Sebastic, my Semitic conlang that I have been revamping from scratch. I created 'Sebastic' in 2012 or so, and was completely dissatisfied about how I went about doing it. I talked for a few years about redoing it from scratch using the same premises, but it took quite a while to get around to doing that. I'm happy with how it's turning out, although in 2017 I hope to work out a more aesthetically pleasing and realistic Romanization. On our days of remembrance! **This negation particle stands in place of the verb in a clause, which is usually the same verb of the previous clause. ***The three <ī> in this phrase all have the rare phoneme /e:/, which are not written distinctively in Classical Sebastic. This phrase is a set idiom in Classical Sebastic, about looking forward with optimism and not dwelling on the past. Pronouns in Classical Sebastic are pretty simple. They are primarily enclitic. There exists independent pronouns as well, which most often appear as subject pronouns. *1SG object pronoun is -mi. Possessive pronoun is -i after a consonant, -ya after a vowel. Modern Sebastic comes in three forms. It includes two colloquial dialects, referred to as Galilean and Diasporal. 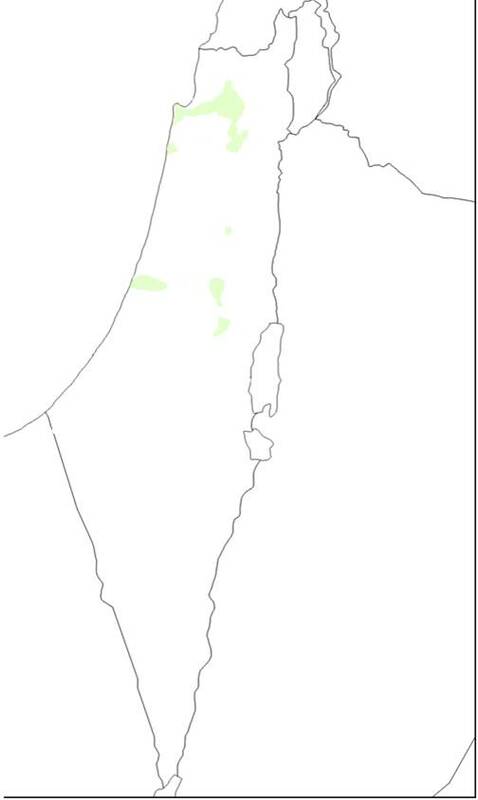 The Galilean dialect belongs to the largest concentration of Sebastic speakers, in the southern Galilee region, who also produce the most cultural output. The Diasporal dialect is descended from the Jerusalem dialect, whose largest concentration of speakers in the region is now in Bethlehem. The majority of its speakers now live abroad, where a sort of koine serves as the lingua franca among them. Remnants of other dialects have influenced very local uses of the Diasporal dialect, but have, for the most part, died out. A standard written dialect, referred to as simply Modern Sebastic, has also existed since the 19th century. It is a slightly classicizing or conservative standard, intended to be accessible to modern Sebastic speakers. Below is a look at the standard written dialect, with partial notes on the phonologies of the Galilean/Diasporal dialects. Some Diasporal accents influenced by this. The verbal system condenses significantly in Modern Sebastic. D stems tend to merge morphologically: (G, D), (C, CD), (N, ND), (NC, NCD), (Ct, CDt). Ct/CDt no longer productive and fossilized in meaning. Classical D and CD stem meanings tend to transfer to Ct/CDt stem. Sometimes their meanings replace the G-stem or C-stem. Sometimes the meanings disappear entirely. In some cases, D-stem is replaced with a stem of reduplication. Meanings of t-stem verbs tend to transfer to N-stem verbs. N-stems are almost always intransitive. The other stems (G, C, Ct/CDt) tend to be either transitive or intransitive. Intransitives, especially mediopassives and passives, of Ct/CDt tend to take an indirect object to mark this function. They are similar in this regard to reflexive verbs of the Indo-European languages. Gender is no longer marked in verbs. e- replaces yə- as 3S subject prefix. The archaic nominal marker -a is reanalyzed as an indefinite article. One theory claims this would have been motivated by a reanalysis of the Classical definite marker -(i)m as marking direct objects, in confusion with the actual direct object marker, -ma. There is little to evidence the theory, however. The feminine marker is no longer productive, as a homophonous morpheme marks collectives/specimens. Gender agreement thus falls out of use. Semantic distinctions in masculine/feminine nouns remain only in nouns that preserve social or economic differentiations based on gender. In some cases they come from different roots entirely (mas man; vashar woman), while in other cases, the feminine marker is preserved fossilized to make the distinction (bajɔ́ son; bájit daughter). Example of differences between the dialects, with recordings of Classical, Galilean, and Diasporal dialects. (Click for soundcloud links). Glosses to be edited in later. Where is it spoken, and what happens to the Jews? Also, is this the same universe as Marshlandic and Βλάχεαν? They are all spoken in our universe. They all exist in 'different universes,' in the sense that I don't have them interacting with each other in any way. Nothing happens to the Jews-- why would it affect them? Sebastic has nothing to do with them. These maps are about 4 years old or so, and aren't quite what I conceptualize now, but they're good enough for now. There's also a brief description about their history, about 5 or so posts into this thread. Again, it's a bit outdated for what I conceptualize now, but it does the job until I update it. So they take the combined role of Palestinians/Israeli Druze, or just Palestinians? Palestinians. Not sure how/why they could be Druze; the post about the Sebastic speakers that I linked in the previous post explains that they are a Christian community. Certainly most of the Galilean speakers are Israeli citizens.